It’s time for mid-season sale! 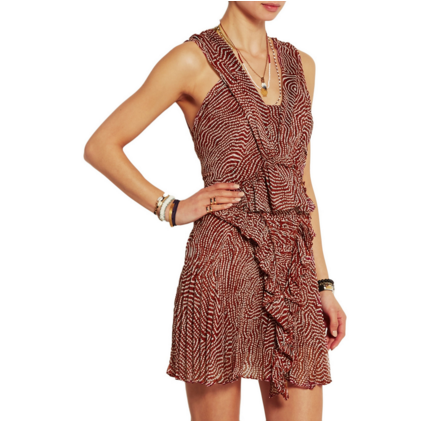 I have hand picked some awesome fashion items from my favorite French brand – Isabel Marant. (You can read about this brand in my previous post.) Enjoy! Loving the simplicity of it, you only need to pair it with your favorite all white sneakers! Drapes beautifully around your body! Très chic! Loving the color and the “wrap” detail of this skirt with cute little bow to finish it off! Showing some legs too! Love the silhouette and the material! so bohemian!